Handsome Tours is proud to announce that Deafheaven will once again grace Australian shores next year, off the back of their latest album ‘Ordinary Corrupt Human Love’. The tour follows Deafheaven’s famed 2016 visit, which saw the Californian outfit become the first black metal band ever to perform at the Sydney Opera House as part a stacked VividLIVE program also featuring Bon Iver, New Order and Anohni. This once-in-a-lifetime performance was described by Noisey as “dense, immense and immaculate” and inspired one MusicFeeds writer to herald it “one of the most enthralling and sonically captivating gigs of my professional career”. Continuing the impressive legacy of their highly acclaimed second album ‘Sunbather’ and subsequent release ‘New Bermuda’, Deafheaven’s ‘Ordinary Corrupt Human Love’ sees the band expand on their kinetic sound with layered psychedelic vocals, jazz-inspired percussion, and intricate piano melodies. The album earned a stunning 8.5/10 from Pitchfork and the ominous crown of “true post-metal fusion” from Rolling Stone. 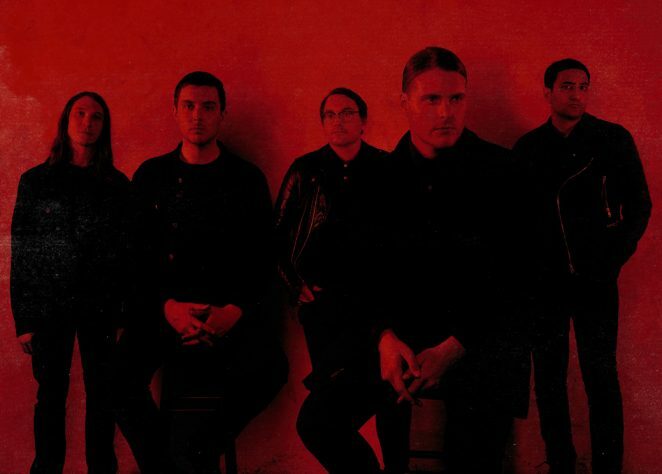 Formed in San Francisco in 2010, Deafheaven (vocalist George Clarke, guitarists Kerry McCoy and Shiv Mehra, and drummer Dan Tracy) made their debut with 2011’s ‘Roads To Judah’ and enjoyed an unexpected crossover hit with 2013’s ‘Sunbather’. Since then, the band’s genre-defying sound has made them one of the most divisive and disarming bands in modern metal and their lauded live show has recruited fans from all corners of the globe.